In the United States there are roughly 350,000 cardiac arrests each year, and in Europe nearly a million people each year suffer such cardiac arrests. And, each minute to health care and a defibrillator is critical to survival. Today, people outside of hospitals who have a heart attack have only an 8-10% survival rate due to the slow response time of emergency services. This calls for a new solution to this critical health issue: drones. 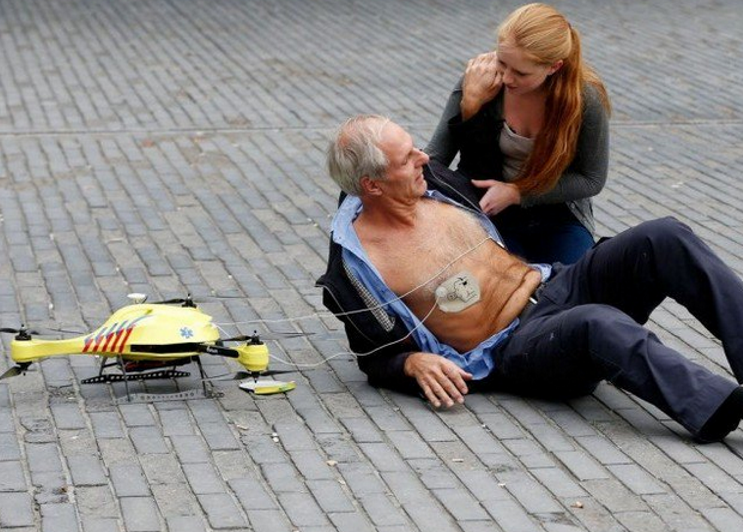 Drones can help save lives of heart attack victims by delivering defibrillators remotely, much faster than it takes an ambulance to arrive on the scene. In a recent study in Sweden, the Swedish Transportation Agency equipped drones with light-weight defibrillators (1.7 pounds) and deployed them from fire stations north of Stockholm. In tests, drones can average 100 km/hour, making the average arrival time of the drones 5:21 minutes; this is compared to the average ambulance arrival time of 22:00 minutes, shaving more than 16 minutes off defibrillator arrival time. Time that is critical to a person’s survival. When not flying, the drone can be folded and become a tool box for emergency supplies. Discuss the use of new technologies such as drones with students. Divide students into team: What other applications could drones have in the marketplace and health care industry? Have each team share its recommendations. Select the top recommendation. Have students develop a marketing program for this solution using drones. Amazon is pushing the envelope once again. 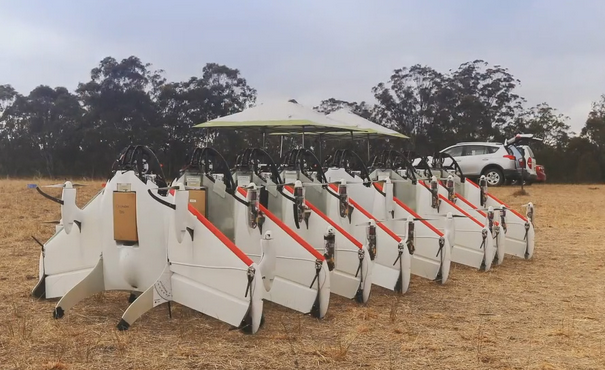 Just in time for holiday shopping, Amazon disclosed a video of its new drone delivery demonstration. While it is not yet a legal form of transportation for packages, nonetheless it is pushing the boundaries of the supply chain and shifting consumers’ expectations for technology. The drones will have intelligent programming that enables the device to identify and avoid things in the air. Each drone can carry up to five pounds and fly 15 miles, landing on a pre-determined launch pad. 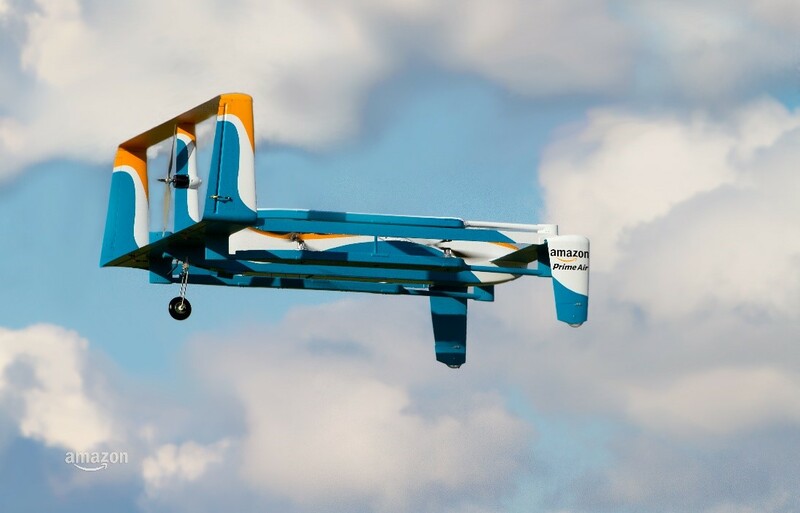 And, with an Amazon Prime Air membership, packages are delivered in 30 minutes. Discuss distribution channels and supply chain. What are the elements involved, costs, etc.? How will drone deliveries impact supply chains?